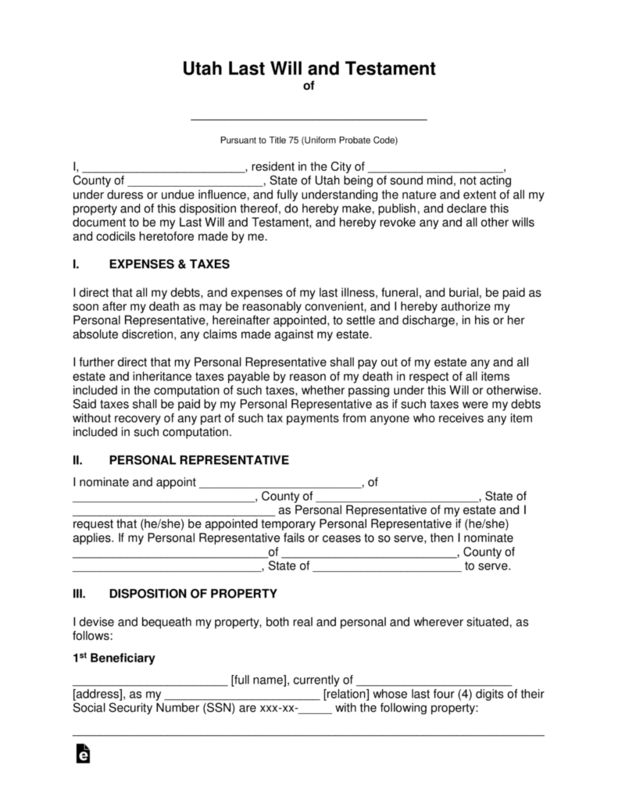 The Utah last will and testament is a document that is created by a testator who is making arrangements for the desired distribution of their estate to be executed upon their death. 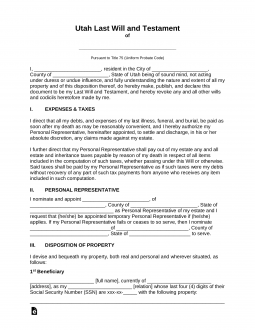 This document may offer continued support through personal property, real estate, bank accounts and other fiduciary asset, for their families. The document may also provide for other beneficiaries to include friends and/or institutions or charities of their choice. When the testator has created a document that they are comfortable with, it must be signed by two witnesses and again by a notary. The testator may choose to change or revoke the document at any time. Signing (75-2-502) – Shall be signed by the Testator and by at least Two (2) individuals acting as Witnesses. Step 7 – Notary- As the testator completes the document, any signature shall be witnessed and acknowledge by a commissioned notary.